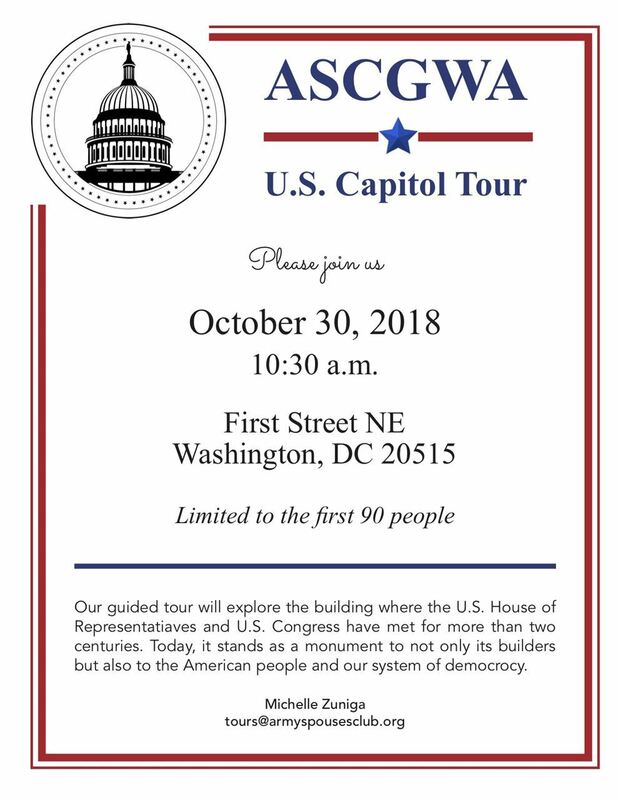 Join us for a guided tour of the U.S. Capitol, where members of the U.S. House of Representatives and U.S. Congress have met for more than 200 years. To join The Army Spouses Club, click on the Membership tab on armyspousesclub.org. Reminder to all ASCGWA Members - Please log in to armyspousesclub.org to review/update your Profile and your Directory Preference - online, pick up at luncheon or mail ($3), no later than Tuesday, October 22nd. To review your Profile and Directory Preference, log into the website and hover the curser over your name in the upper lefthand corner and click on Profile.